Hi there, I’m Sophie, a certified Primal Health Coach with a passion for natural beauty. 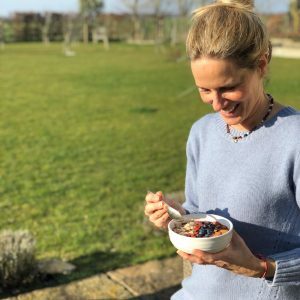 Having lived with adrenal fatigue and a handful of ever growing health issues for over two decades, I wanted to feel well, energised and vital but instead I felt ever depleted of energy and moved from one health issue to another without ever feeling I had repaired the underlying cause. I had come to the end of my tether and felt it was time to take back control of my own health and wellness. At the time I found myself being drawn to a primal way of eating. It made sense to me and within a very short period of time my body began to heal, my energy returned and with that my motivation to repair my other health issues. 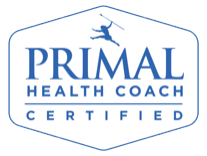 I was so inspired by the results I saw in my own life that I started my training as a Primal Health Coach and have not looked back. Bonkers though it may sound I feel fitter at 50 than I ever did in my 20’s, 30’s or 40’s – they say age is just a number, whoever said that was so right! I have learned that by eating fresh, whole foods, taking care of our stress levels, getting quality sleep and keeping active every day we can all have strong, healthy, energised bodies and minds. Our overall wellness is a delicate balance between what we eat, how we move, what we put on our bodies and how we nurture our soul and that everything is inter-connected. I live by this ethos daily and have seen the extraordinary health benefits that come from living a life of better balance. I am passionate about womens health, particularly as I am a mother of 3 teenage girls. I feel very strongly about empowering women to make positive health and wellness choices so that we can all flourish and live our best level of wellness and vitality every day. Now, more than ever when there is a sea of health information out there do not feel bewildered, isolated and confused about how to make improvements to your wellness. I am here to keep you company as you make positive steps on your journey to better health.